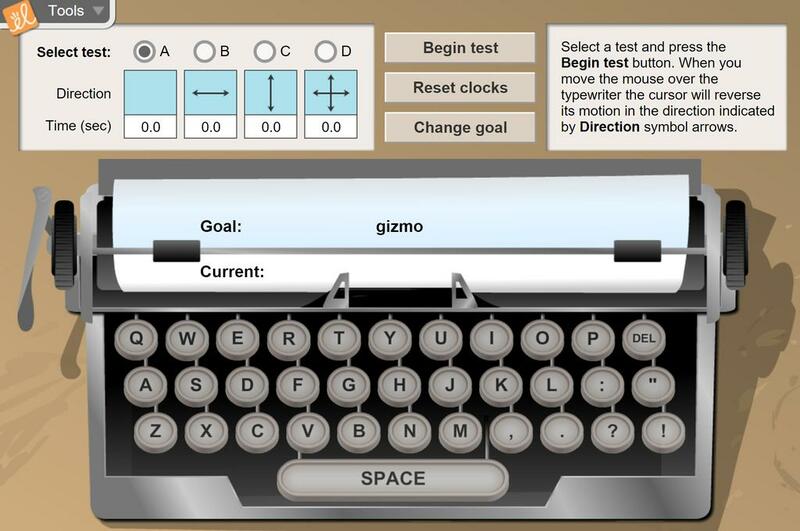 Measure the time required to write a word when the mouse behaves in a normal fashion and when the direction of motion is reversed from left to right, up to down, or both. Run several experiments in each mode to see if your brain and muscles are able to adapt to the new direction of motion. Determine which type of inversion is easiest to adjust to and whether you can train yourself to function normally when the inversion is present. Modified exploration guide with data tables for students to record times on.